The perfect place for a holiday..."
We arrived at Dragon Lodge after a long flight which had been delayed 4 days by the extreme weather that hit the UK in December 2010. It was the perfect place to rest our heads. The location is idylic, the furnishings were top class and the unit had everything you could possibly need including a central heating system that works brilliantly! Our hosts, Carol and Peter were always available and extremely accomodating throughout our stay. 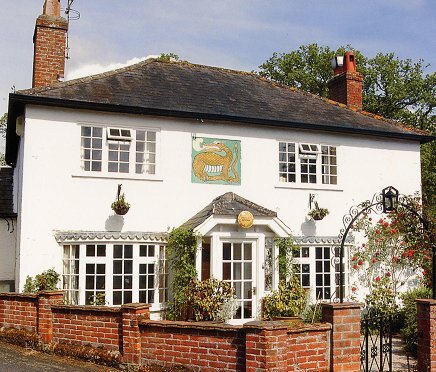 I would not hesitate to recomend Dragon Lodge to anyone looking for comfortable and reasonably priced accomodation in the Farnham / Frensham area. "Cozy accomodation in the beautiful countryside"
We absolutely loved staying in the Orangery. From the moment I book, communication with Carol was fantastic. When we arrived at the Orangery, our fridge was fully stocked with wonderful breakfast foods, which we thoroughly enjoyed. Carol was very friendly and she made us feel most welcome. The standard of the apartment was fantastic; although small no expense had been spared and we enjoyed all the modern conveniences of home. The apartment was warm, and perfect for a new year getaway. We absolutely loved staying there, and we hope to stay again soon.